Michael Yaw Badu has an arranged marriage waiting for him when he is done with his education. When he comes back to his village from his time in America, he learns that he will be marrying Esi Afriyie. Unbeknownst to Michael, Esi has been in love with him since childhood. 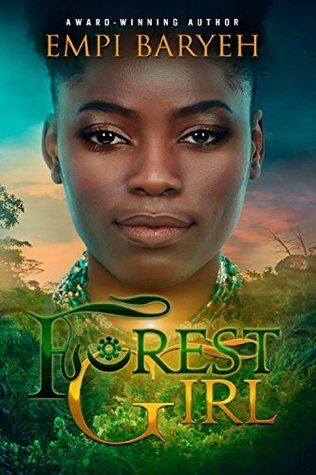 Michael is in love with another woman, the enchanting Forest Girl that captured his heart after a brief encounter in the forest. Will he let Esi go so he can find his Forest Girl? This story is magical. Not because of the fairytale romance, but because for once a story gets it right about love and marriage. Marriage isn’t always hearts and rainbows, sometimes it’s conversations and being there to hold your partner’s hand when they are scared or when they need you. There are not enough words to describe how much I loved this story. The author painted a vivid picture with her fantastical storytelling. She crafted a story that made you fall in love with the characters and their stories that they had to tell. There were moments where I ugly cried because of what happened between the characters, and I hurt because I knew they were hurting. I would definitely recommend this story to others.